We provide construction management services where ZIPCO oversees the entire project, including the general contractor. 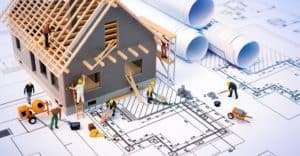 Management services include setting schedules and budgets, controlling and maintaining construction documents, managing sub-contractors and in-house labor, developing bid packages and coordinating everything with the owner and/or the tenants. With ZIPCO Contracting on your project, you are assured that it will be completed on time and within budget. Projects range from $2,500 to > $1,000,000.